Last year, Transformers: The Last Knight didn’t have the traditional end credit crawl in theaters. Instead, once the film ended the credits were presented in flashing cards similar to a powerpoint presentation. On the home video versions of Transformers: The Last Knight, the film had traditional scrolling credits to credit those who weren’t credited in theaters. This year, another film based on the Hasbro toys faces a similar scenario. Bumblebee also does not have a traditional scrolling end credit crawl. Instead, theater audiences see the film’s end credits presented in flashing cards virtually identical to the way The Last Knight presented them. 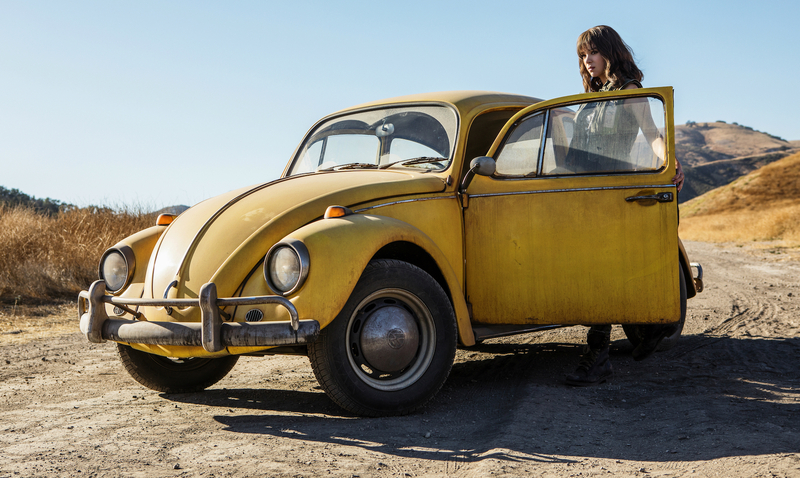 A film blogger first noticed that Bumblebee had the short end credits when he looked at the projectionist info for the film. Transformers: The Last Knight had 117 seconds of theatrical end credits whereas Bumblebee‘s end credit cards go on for 143 seconds. However, both lack the tradition end credit crawl, which usually nets twice that length. By comparison, the end credit crawl for Aquaman is over seven minutes long. The Last Knight‘s end credit cards total less than two minutes. The obvious question here is “why”? Why get rid of the traditional end credit crawl and replace it with flashing cards, which are more commonly used for credits on television shows? Multiple press representatives for Paramount didn’t respond to repeated requests for comment, but we did hear back from the company who produces a vast majority of end credits for Hollywood films – Scarlet Letters. Transformers: The Last Knight was a very long movie. Over 145 minutes to be exact. Thus, Paramount didn’t want theaters to have a small amount of showings of the film due to its length. An obvious tool of cutting down that length is shortening the end credits, which is precisely what replacing the crawl with flashing cards does. However, the same issue wasn’t the case for Bumblebee. That movie, after all, is less than two hours long. So although for Transformers: The Last Knight the reason for the flashing cards (which are called straight cut cards in the industry) was entirely commercial, for Bumblebee it was entirely stylistic. But what does this mean for movies in general? It could actually mean quite a bit. Studios often want their films to be below a certain runtime. Justice League famously had a strict requirement of being below 120 minutes, which likely lead to the removal of multiple scenes. If filmmakers would be more open to and replace five to ten minute end credit crawls with two to four minute flashing cards, it could set a new standard and possibly allow more leniency in meeting studio runtime requirements. But according to Schoen, that is unlikely to happen. “Most directors do not want cards. They feel it looks too episodic TV. Sometimes a studio wants the credits to run 3 minutes, but the end crawl would need to be 4 minutes. It can easily be made to work with cards, but director will fight tooth and nail for the crawl. So I don’t think it is necessarily a trend,” said Schoen. Some filmmakers on the other hand are big fans of the flashing cards. Schoen tells us that Todd Phillips, Martin Scorsese, Alexander Payne, Woody Allen and Paul Thomas Anderson all prefer them aesthetically. Indeed movies such as War Dogs or The Wolf of Wall Street use cards, not scrolls, for their end credits. Bumblebee is now playing in theaters, where you may see the straight cut card credits for yourself. Update: This article has been updated on January 8 to reflect additional comments from Scarlet Letters.